Home » Blog » Success Stories » Client Success-Story: “Foreigner Buying Property in Singapore? Definitely use Propseller”, Jiawei W.
Jiawei was assisting her parents in purchasing a condominium in Singapore. 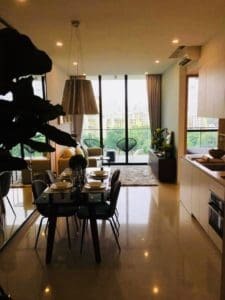 As a foreigner buying property in Singapore, she wanted to enlist the help of a seasoned property agent who knew the ins and outs of the buyer’s market. After browsing through Propseller, and looking through various property agents’ reviews, Jiawei decided to work with Andrew. Within a month, he helped her locate and purchase the condominium of her dreams! When my father told me he wanted me to help him purchase a condominium in Singapore, the first thing I did was turn to my existing agent. She helped me find my rental property previously, and I had a good experience with her, so I thought we were all set. Unfortunately, my parents didn’t like her – perhaps it’s because she was more experienced in rental property than anything else. 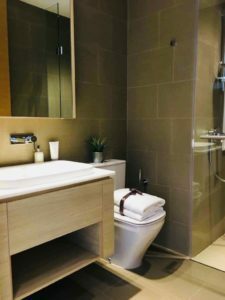 As a foreigner buying property in Singapore, it was very important to me to find someone who was specialised, who knew all the intricacies of the local buyer’s market and would not only help arrange viewings but also provide advice on location, new developments with no public listings and provide many options within my budget. We also spoke with another agent, who my friend referred to me. Again, things didn’t work out, and that’s when I started searching for agents online. I chanced upon Propseller, which is a portal which comes with a treasure trove of property agent reviews in Singapore. After filling in a form and specifying some requirements, I got a call right away. I was really surprised that the team responded so quickly, but I loved it. I was working under a tight deadline, and I needed to get things moving fast. Propseller recommended me two agents; the first agent, Andrew, contacted me almost immediately, and the second agent got in touch the day after. I really liked Andrew – he was fast and proactive, and he had a ton of good reviews which was important to me. I didn’t want to dawdle on the decision, and I decided to hire him right away. My dad had emphasized time and again how important hiring a good agent was, and I was confident that Andrew would be able to perform. Seeing as how we’re not Singaporeans, and we don’t know much about the local market, it was great having him share his knowledge and expertise. Andrew made a great first impression, which set the tone nicely! Right off the bat, Andrew asked for a list of requirements, which I gave to him. He reviewed the list, then started sending me listings to look at. After shortlisting a few options that I liked, I would get back to him, and he’d set up viewing appointments. It was all very efficient – I was busy working on the weekdays, but we would view 5-6 apartments every weekend. We looked at 20 to 30 units in total, and I fell in love with the last apartment we viewed, which was The Crest. It’s designed by a Japanese architect, and most of the units come with river views and huge balconies. It’s very quiet, and there’s two huge swimming pools as well as a tennis court. I initially wanted to purchase a property at someplace more central but the units we saw in town were all tiny and cramped. The unit at The Crest, in comparison, seemed ideal. So I called my parents immediately (in a video-chat!) and told them that this place was the one. Both my parents really liked it and we decided to buy the apartment on the spot. I’d give Propseller a 5/5 rating! For any friends who are thinking of purchasing property in Singapore, I would definitely recommend Propseller. 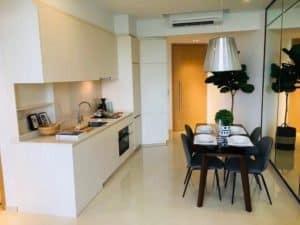 This portal is a godsend for any foreigner buying property in Singapore and is looking for a responsible, trustworthy agent to help them buy or sell a property. The site is extremely user-friendly, it contains tons of useful property agent reviews in Singapore, and I love how quickly the team responds. Of course, credit goes to Andrew as well. He’s extremely proactive and efficient, and he also looks out for his client’s best interests. For example, we were looking at a condo in Novena, and I was pretty keen on this place. But Andrew mentioned to me that he knew several people (living in that same condo) who were trying to sell their units, all at once. He said that this was a red flag and that there was probably something wrong or undesirable with the condo. I appreciate that he took the time to give me his two cents! After we made the first payment, my parents came to see the apartment, and they met Andrew as well. Everything went perfectly. All in all, the transaction was extremely smooth, and I have Propseller and Andrew to thank for that!